Snapchat has taken a huge upturn in popularity over the past few months. Once almost exclusively used by the teenage population, businesses are now starting to see the benefits of such a quick and informal platform. However, there are a range of Snapchat features that make it pretty challenging to accomplish what you want to from a marketing perspective. It’s not easy to add people – this limits your audience. You can barely replay content – this makes it easy to miss relevant snaps. Screengrabs notify the sender – this makes incognito research a challenge. There’s a text limit – this stops you from saying everything you want to. But (and this is a big but), there are hidden hacks that can help you get around all of these. That little ghost avatar at the top of your profile acts as Snapchat’s version of a QR code. If your audience scans the graphic with their smartphone they can automatically add you to their friend list – so much simpler than having to search using an exact username. Expand your reach by using it your avatar in your email signature, and as your profile picture on other platforms. Snapkeep is a handy third party app designed to solve all your problems. Not only can you save unlimited snaps and stories without notifying the creator, but you can also replay content to your heart’s content. Snapchat captions have a strict 31 character limit – but not that strict because there’s a way around it! For iOS users, open up the Notes app and keep hitting enter to create a block of blank lines. 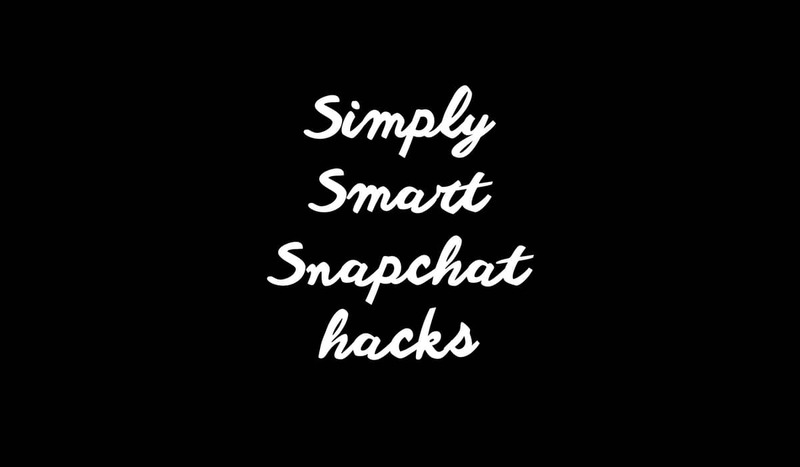 Copy and paste that into your Snapchat text box, and you’ll be able to fill those lines with next. For Android users, download and install Snapchat Full Caption. Restart your device then head to the Snapchat app – and hey presto – you can add as many characters as you like.